Maruti Suzuki Ertiga MPV photo gallery! 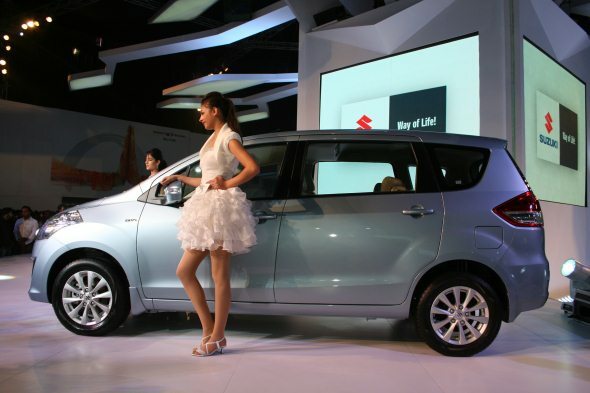 Maruti Suzuki unveiled the Ertiga MPV at the Auto Expo 2012 today. 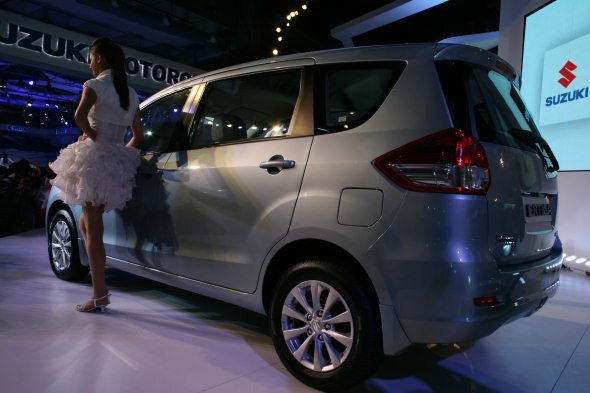 The car pioneers a new compact MPV segment and will compete with the Chevrolet’s production version of the MPV concept. 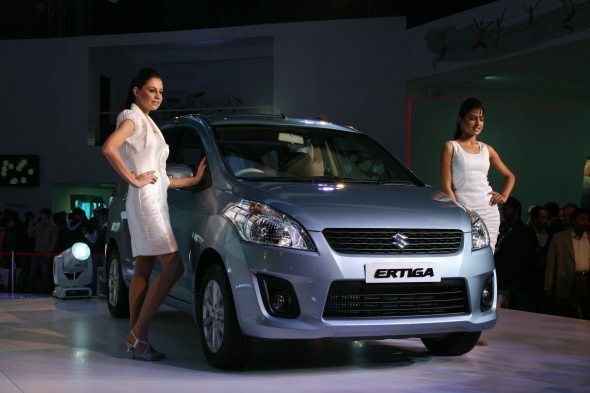 Ertiga is a rather good-looking car that draws some of its frontal styling coming from Ritz. 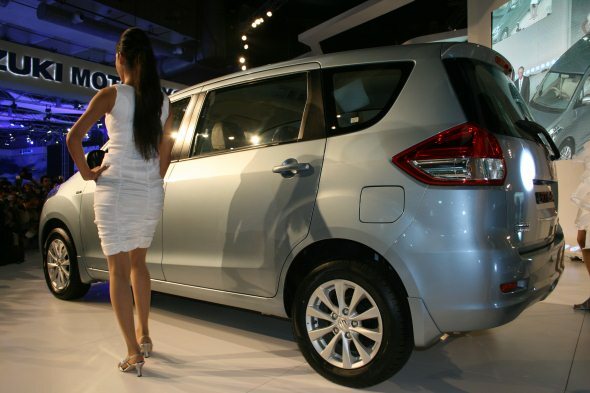 The Ertiga measures 4265 mm in length and 1,685 mm in height and can seat seven and lug a few small bags in its boot. You can of course free up a sedan-size boot space by folding the third row of seats. The petrol variant will be powered by a 1.4-litre K-series 98 bhp motor while the diesel variant will be powered by 1.3-litre DDiS super turbo that makes 90 bhp. 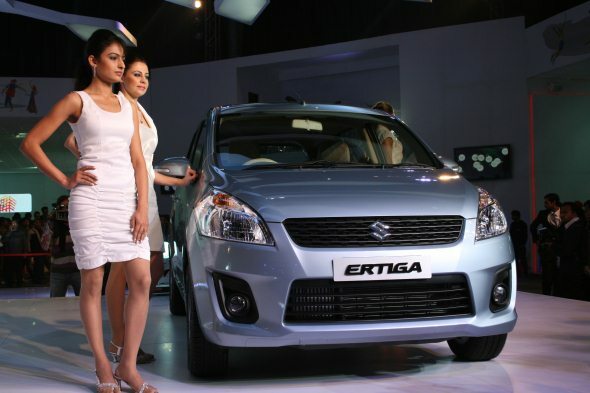 Ertiga will be launched in April and we expect it to be priced in the Rs.6 to Rs. 8 lakh range. At this price, it makes for a solid family van with a potential to pull people from similarly priced sedans.